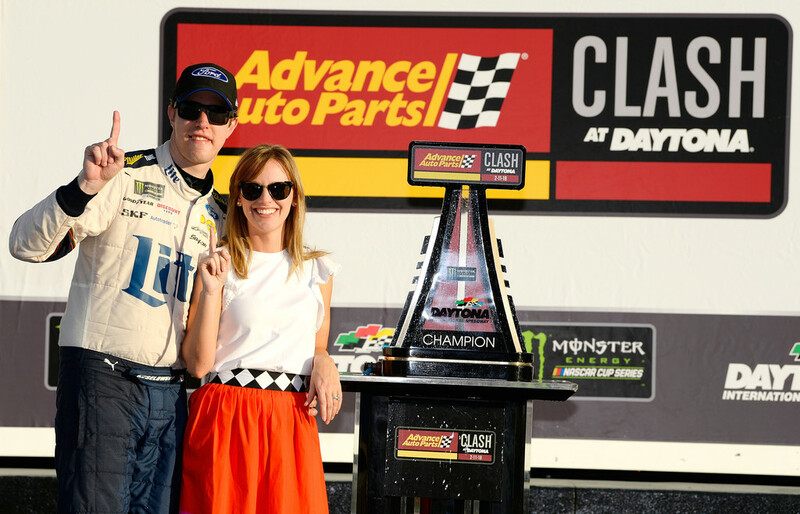 Brad Keselowski won the Advance Auto Parts Clash at Daytona International Speedway, his first win in the season-opening exhibition event. Brad’s win is the fourth for Team Penske: Rusty Wallace (1998), Kurt Busch (2011) and Joey Logano (2017). Brad takes the checkered flag in the Clash. The No. 2 took the lead for the first time on lap 28 thanks to a great pit call by crew chief Paul Wolfe. Keselowski pitted under green on lap 26 before the competition caution one lap later. The move gave Keselowski the lead for the restart on lap 29. The driver of the Miller Lite Ford grabbed the lead for the final time when he passed Chase Elliott on lap 39. 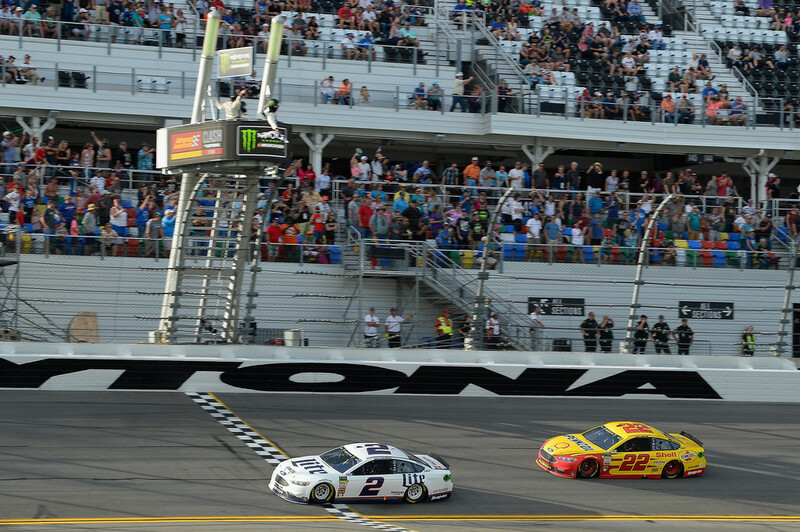 From there, Keselowski held off Penske teammates Joey Logano and Ryan Blaney, edging Logano to the finish line by .102 seconds. Brad, Paige and the Clash trophy.